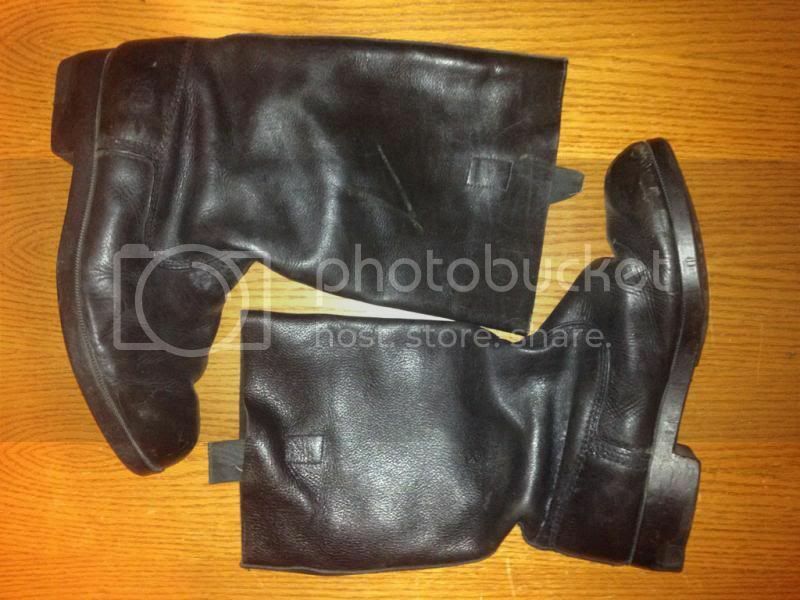 I just ordered a pair of the used "large" boots. 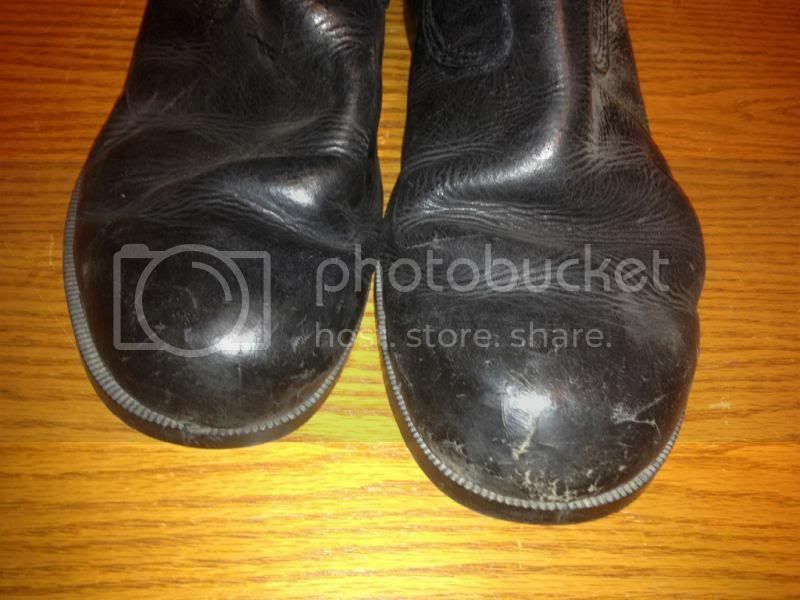 They are quoted as "poor to fair" condition, but although they are clearly used, the only thing wrong with mine is that one boot had been marked "7" on the side with a marker. Five minutes with some black show polish corrected that. They fit well and they are already broken in! I don't remember if I've seen this site or not before... Nice find. Looks like they've got some nice boots, too. Unfortunately, they seem to have the same problem most other used boot shops have: not much of a selection in size. Nothin' that fits my 12" boats. Yeah... you're going to be hard to fit. But these do go up to Size 12 (US), so most people should be able to take advantage. Those Enlisted ones are perfect ... hopefully some wannabe pilots can pick them up! The sizes run a little big... might be worth a shot. You could probably resell them if they are too small. I got my boots from this vendor and they have treated me very well for trooping, and they're so handy I have used them for airsoft and winter use and they've held up great. I'd agree that they run a little on the large side so there's hope for those on the high-end of the sizing scale. I assume these run in men's sizes, I can wear a men's size 7, Would it be safer to get the larger size or smaller size for me? I ordered mine from Epic Militaria. They arrived in about 10 days and in GREAT shape! They had a lot of sizes to choose from. 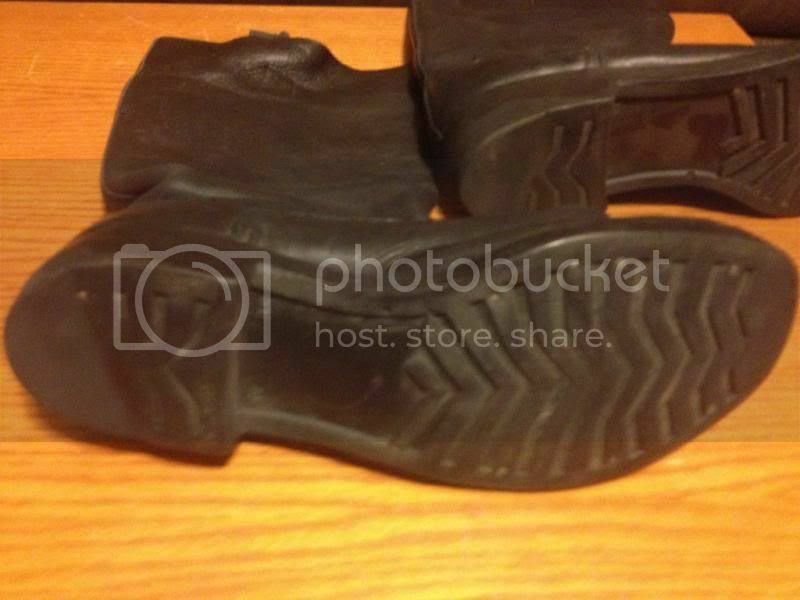 I just got a pair of jack boots from East Meets West Militaria and thought I'd post a couple pics so people can get an idea of what they might get. They are definitely used, but not too bad. With a little polish, they will look quite nice, I think. Not dress worthy, but we're talking about a working uniform here anyway. The toes are a bit rough and the soles are worn quite a bit (looks as though the heels have been repaired), but otherwise they are solid. I wear a size 12 or 13 and have a wide foot so I ordered a size 12 (the largest they had in stock) and they fit me nicely. One is a little tight width wise, but it's not bad and I think it will stretch over time. I'm actually kind of surprised at how comfortable they are. They have them listed at $50, but when I put them in my cart, it automatically applied a 25% discount, so they ended up being $58 shipped to California. I have to say, I am pretty pleased with them.